This adorable Reindeer is trying to figure out which way to go. Easy appliqué pieces stitched down with a blanket finish off this cute lil quilt. Finishes at 12"x12" and hangs on a Ackfeld single scroll hanger. 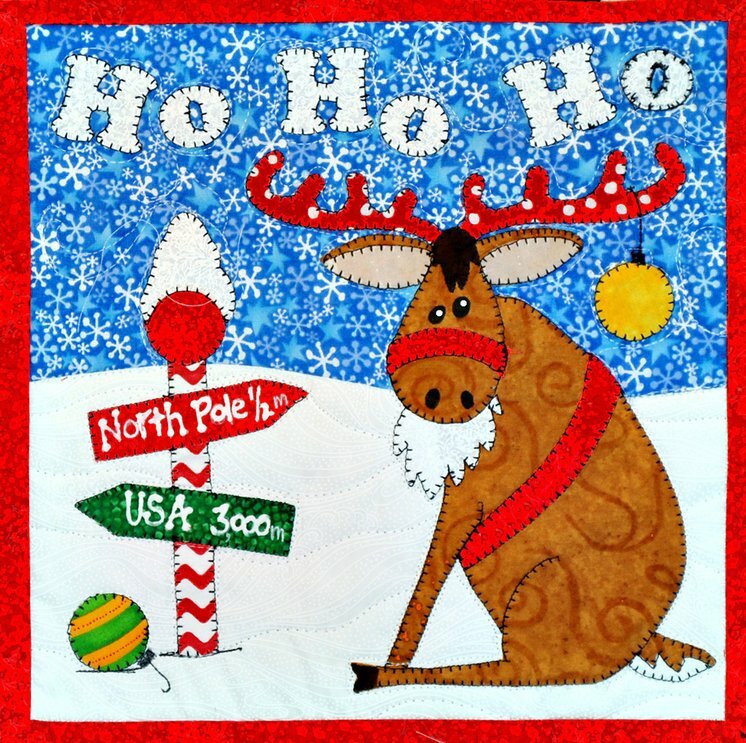 Easy to follow instructions and appliqué pieces. Finishes at 12"x12" and hangs on a Ackfeld single scroll hanger.